Over the last few years, MJX R/C stunned us with their cool Bugs series. 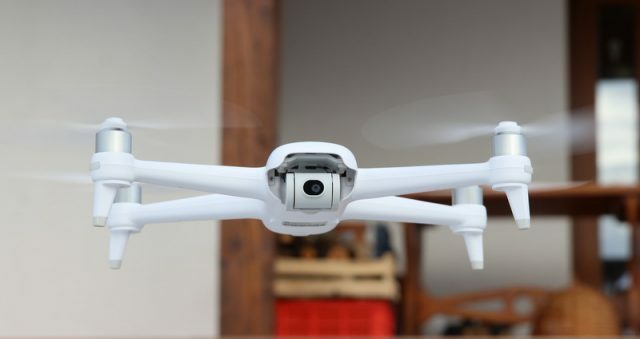 Now, they came up with a new model called X104G, which features a different design compared to their previous drones. 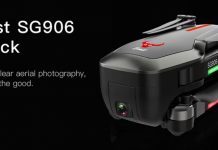 Like most drones under 100, the MJX X104G also has precise Global Satellite Positioning system and on-board full HD camera. Furthermore, thanks to the 5G WiFi real-time image transmission, you can display the camera’s live video feed on your phone. According to the advertised specs, the 1500mAh battery allows about 12 minutes of airborne time. 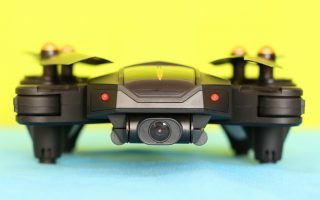 Not the best flight time, but at least the LIPO is removable and you can purchase the X104G in bundle with up to 3 flight batteries. Anyway, it is not recommended to fly in a row, without letting the motors cool down. MJX includes with the X104G the same type of 2-way remote controller as the Bugs 2SE has. On front panel, besides the two control sticks, there are 4 trimming switches and 4 control buttons (One key Takeoff/Landing, Motor Lock/Unlock, RTH and Photo/Video). 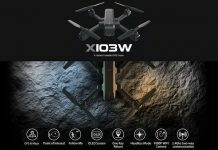 While you can already place your order for the X104G quadcopter, first batch will be shipped out by TomTop only starting with April 25. Pre-order price is US$81.99 and includes duty free shipping. At checkout you can opt for 1, 2 or 3 flight batteries. Through their mobile APP, using this “PAYPALAPP” code, you can have extra 10% off for all orders over $30.